It is finally starting to feel like spring around here. The flowers are starting to grow and the baby animals are being born. With Easter around the corner, I am excited to start spring entertaining. 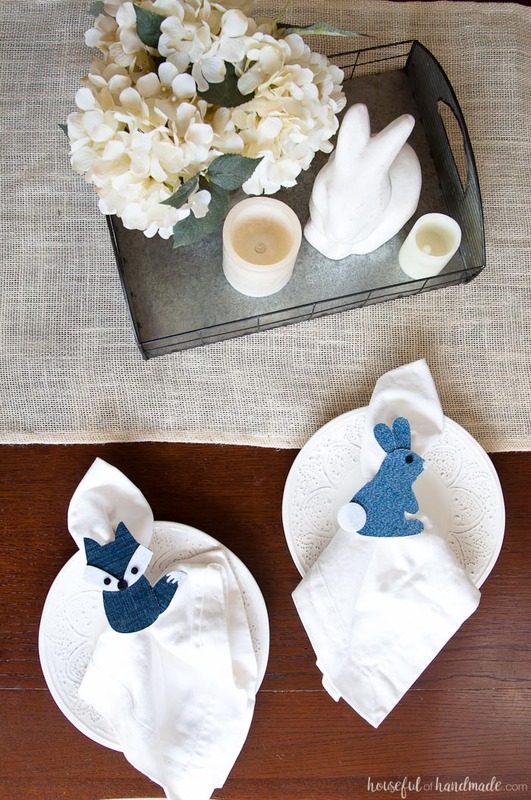 A Sunday brunch or Easter party is the perfect time to make a fun table setting with these Whimsical Spring Napkin Rings. This post was sponsored by Spellbinders, however, all opinions and reviews are 100% honest. This post may contain some affiliate links for your convenience. Clicking these links will help support this blog so I can keep creating things to share with you, but you will never pay more by using an affiliate link. Click here to read my full disclosure policy. Spring is the perfect time for a little whimsy in your decor. There is something about the hope of new beginnings to make life a little more fun. When I saw these woodland creature dies from Spellbinders, I knew they would be perfect for a whimsical table setting for spring. 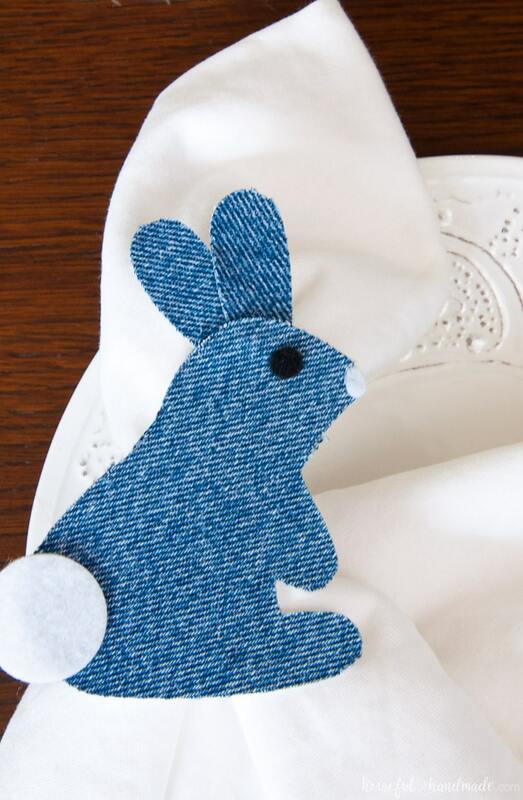 To make the whimsical spring napkin rings a little more sophisticated, I decided to use an unexpected material: denim. Most people think of denim for jeans and jackets. But this everyday material is so fun for home decor. 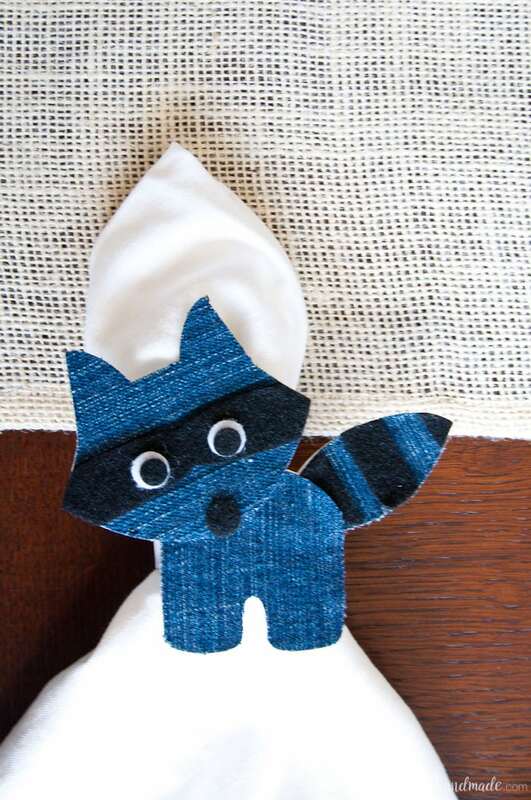 Even better, you can make things out of worn-out jeans. I’m all for upcycling all kinds of things out of denim. 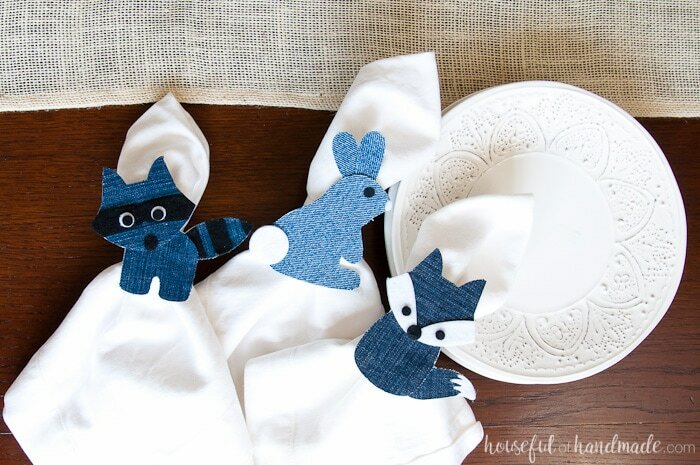 And with these denim woodland creatures, you can keep the rest of your tablescape neutral. A little burlap, some creamy white plates and white napkins will make this whimsical table setting perfect for a warm weather brunch or spring gathering. Pick your favorite critters or make them all the same. 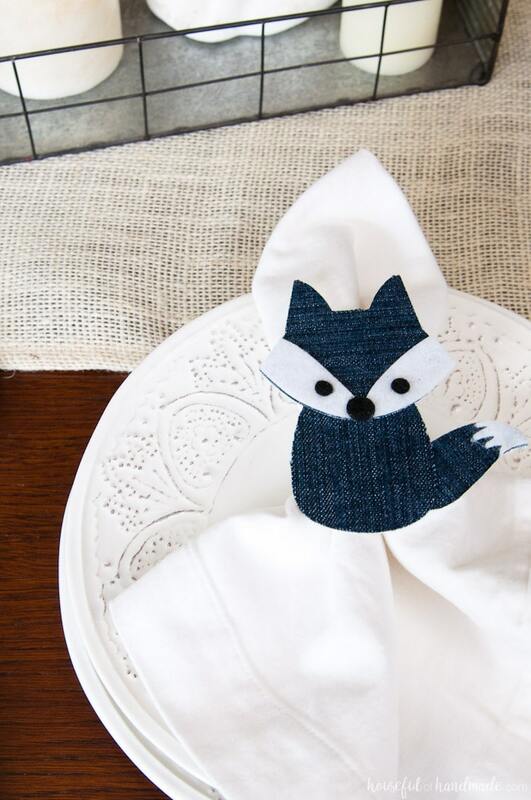 Have some fun with these whimsical spring napkin rings! To see how to make these whimsical spring napkin rings, click the arrow below for the picture tutorial and get ready for some spring fun!